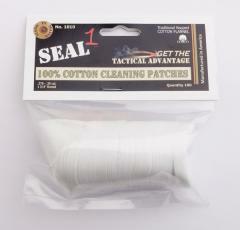 Simple cotton gun cleaning patches. 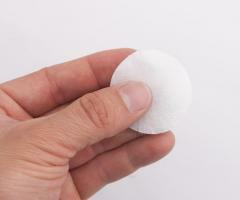 Stick it in the cleaning rod, run through the barrel, and pull out. 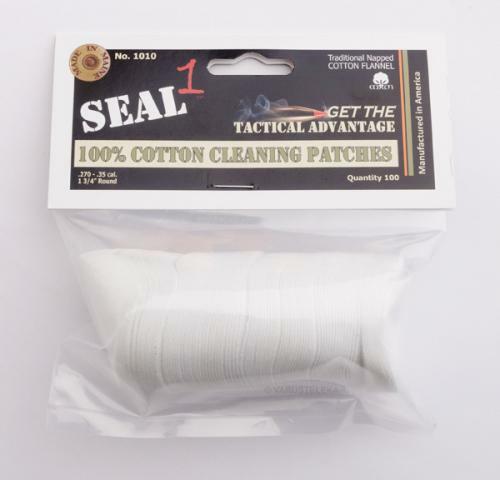 Can also be soaked in Seal 1 CLP before the process to lubricate the barrel, although pre-lubricated patches are also available.